The increasing popularity of social media and the unprecedented dependency on information technology is posing novel difficulties for Pakistan’s notoriously lethargic legal system. Furthermore, the interaction of special Anti-Terrorism legislation with modern instrumentalities of crime is testing the capacity of our judicial system to grapple with new age legal issues. The recent case of Taimore Raza, wherein an Anti-Terrorism Court sentenced him to death for committing Blasphemy under Section 295-C of the Pakistan Penal Code, is a good example of such an interaction. According to the facts narrated by the judge, Raza was booked for showing hateful material on his phone to the public at a bus station in Bahawlpur. After having been informed, the police arrested him at the bus station. The police made an inventory of the items that he had on him, which included his phone, a wallet (with Irani Riyal, the significance of which shall become apparent hereunder), and bus tickets. It is said that the material on his phone, which included pictures, was blasphemous. This material was also sent to the Islamia University, Bahawalpur, which opined that the material was blasphemous as to the Holy Prophet as well. There after, Raza was booked under Sections 9 and 11 of the Anti-Terrorism Act, and Sections 295-A and 295-C of the Pakistan Penal Code. Some countries have had to delineate the extent of privacy rights that citizens have over their data. For example, the US Supreme Court has ruled that citizens have a right to privacy as to the data on their phones, and that it may not be looked into without a warrant. The external condition and characteristics of the device that contains the data does is not protected in the same manner, and may be examined pursuant to a valid arrest. This question is likely to come up before the Superior Judiciary in Pakistan soon. This right to privacy is significant in Raza’s case because the Section 295-C charge was added to his case after the police scoured through his phone after his arrest, and without a warrant. 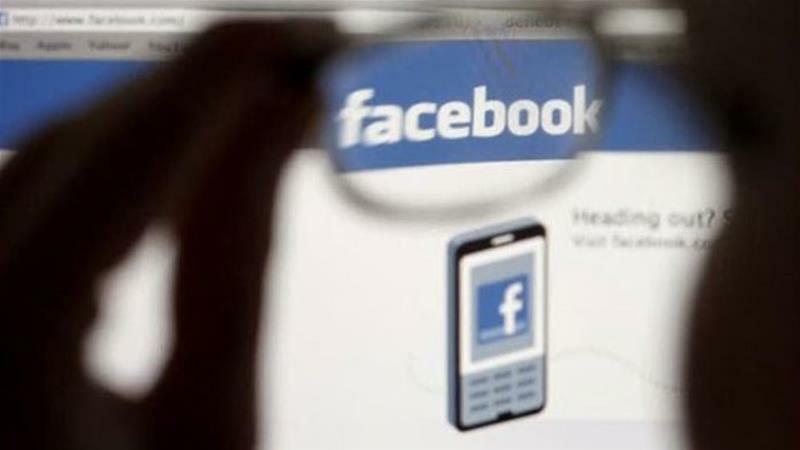 The judgment also states that his Facebook account was logged into his phone, which is why the police was able to examine his Facebook activity. Again, this was done without a validly issued warrant. It is to be seen whether the Superior Judiciary will extend the constitutionally guaranteed right to privacy to data. The Anti-Terrorism Act creates certain new offences, and also allows the special courts established under it to try certain already existing offences which are scheduled to it. Furthermore, the Act allows the special courts to try any other offences that an accused may be charged with while it is seized with a trial pertaining to a scheduled offence. This is significant because the procedure to be followed in trials before the Anti-Terrorism courts is heavily skewed in favor of the prosecution. The Act allows for ex-parte prosecution, which is abnormal compared to the rights typically afforded to criminal defendants. The Code of Criminal Procedure mandates that evidence against the accused must be recorded in his presence. However, the Anti-Terrorism Act removes this requirement, to the detriment of the accused. It is also worth noting that various jurisdictions hold this right of the accused to be confronted with evidence against him/her to be a sacrosanct constitutional right that may not ordinarily be done away with. Under the ATA, Section 295-A (deliberate and malicious acts intended to outrage religious feelings of any class by insulting its religion or religious beliefs) is a scheduled offence and can, thus, be tried at an Anti-Terrorism Court. The maximum punishment under the provision is ten (10) years imprisonment and a fine. However, as mentioned above, the ATA also allows prosecution of other offences arising out of the same occurrence. In this situation, the other offence was Section 295-C (use of derogatory remark etc., in respect of the Holy Prophet), which carries a maximum sentence of death and a fine. The obvious problem presented here is that in the prosecution of an accused for a lesser crime without the mandatory provision of regular statutory rights, he/she may also be tried for an offence with a much higher sentence. The balance of the rights of the accused and the need for successful convictions must be thoroughly examined to arrive at a prudent compromise. The opinion itself is predicated on some very worrying reasoning and judgment writing. Firstly, the judge has sentenced the Mr. Raza to death for having committed blasphemy against the Holy Prophet. However, he refused to share precisely what the content of the culpable expression was. Section 367 of the Cr.PC is a mandatory provision that requires the judge to explain the reasons for the judgment being rendered. This requires the judge to explain how every element of the crime has been met. A judge may not, as has happened in this case, merely state that he/she is satisfied in their mind that the offence has been committed without demonstrating how they have arrived at that conclusion. While it is understandable that judges may not want to reproduce blasphemous content, not doing so clouds the judicial process. This is a unique issue that lawmakers must deliberate upon to formulate policy. The second issue pertains to some unwarranted extrapolations that the judge has made. According the judge, the recovery of a few Irani Riyals is evidence of links with sectarian outfits. This conclusion, by itself, is thoroughly unwarranted. A man of Shia faith possessing Irani Riyal may have several explanations other than the one the judge arrived at. There is uncertainty. Pakistan has often lagged behind developed nations in matters of technology. It appears that it is also behind in matters of jurisprudence pertaining to technology related issues of law. The Constitution and laws of the country may be adequate to deal with new age issues, however, we will only be able to say that for sure after the Superior Judiciary grapples with several such issues and pronounces authoritative opinions on the matter. Till then, its best to err on the side of caution. As far as the government is concerned, it is persevering with the policy of restraining controversial speech on social media. The Interior Minister warned of a possible complete social media ban if the population fails to self-regulate its speech and bring it within the prescribed limits. Continuing down this road, the Minister recently met with Facebook’s Vice President for Global Public Policy, Mr. Joel Kaplan in Islamabad and apprised him of his concerns and desires. It remains to be seen if Facebook will mold its policy to the satisfaction of Mr. Nisar. If it does, the government would move closer to successfully censoring the Internet as desired. As is popularly known, the Pakistan Telecom Authority has blocked scores of websites containing content that it deems blasphemous.